1. Medieval people understood what a “dragon” was. I say dragon, and you visualize a giant fire breathing, flying lizard with legs, maybe claws, maybe a voice. I know, and you know. Dragons are that iconic a cultural image. The same was true of the Middle Ages. As Paul Acker showed, Norse sagas spend basically no time describing the physical characteristics of their dragon foes—despite the physical form of the dragon being crucial to the hero’s contest against it and the audience’s ability to follow the battle. 2. Or rather, medieval people understood what dragons, plural, were. In the thirteenth-century Norse poem Fáfnismál, Sigurd digs himself a pit where he knows the greedy dwarf-turned-dragon Fáfnir will slither. Our hero stabs upwards into the dragon’s belly. This feat makes no sense to an audience expecting a monster who lumbers on legs or takes to the skies. Just like we “know” what a dragon is from general cultural awareness, medieval people knew. 3. Before they acquired the ability to fly, medieval dragons dropped out of trees onto people’s heads. The iaculus throws itself from the branches of trees; dragons are dangerous not only to the feet but also ﬂy like a missile from a catapult. 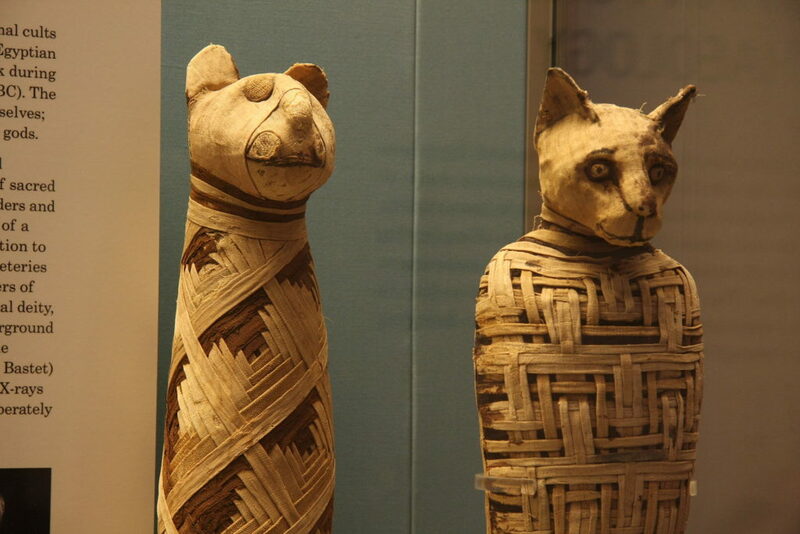 Mummified cats, British Museum. Wikipedia. What happens when a house catches fire is most extraordinary – nobody takes the least trouble to put it out, for it is only the cats that matter: everyone stands in a row, and a little distance from his neighbour, trying to protect the cats, who nevertheless slip through the line, or jump over it, and hurl themselves into the flames. This causes the Egyptians deep distress. 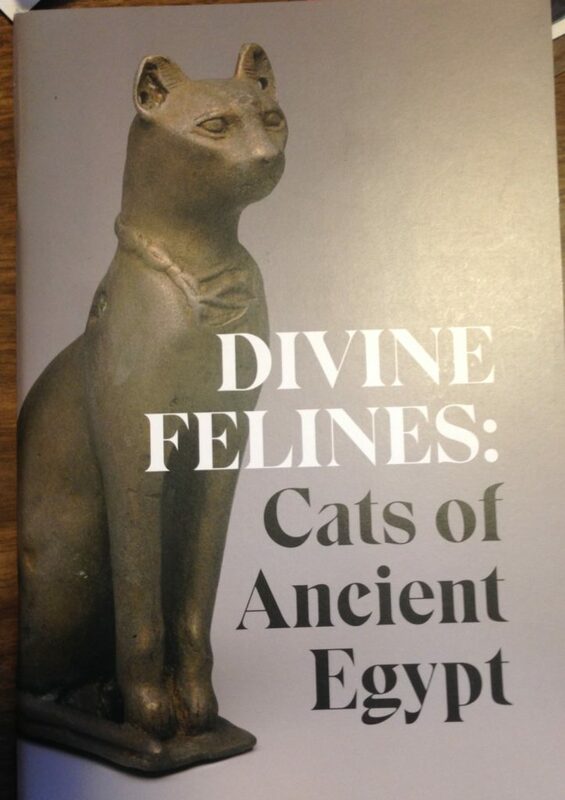 All the inmates of a house where a cat has died a natural death shave their eyebrows… Cats which have died are taken to Bubastis, where they are embalmed and buried in sacred receptacles. (Book 2:66-67, trans. Aubrey de Sélincourt). 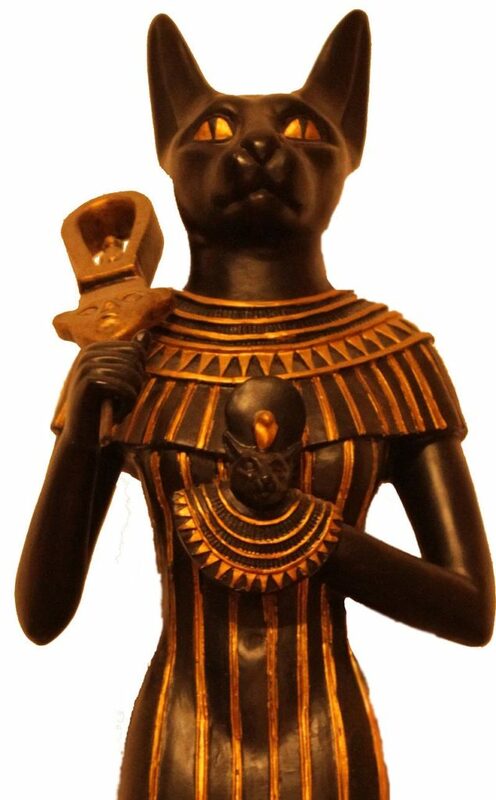 Every now and then they uncover a cache of cat mummies, including at Bubastis, which by the time of the New Kingdom was indeed sacred to the cat-headed deity Bastet. We saw a great exhibit about Egyptian cats at the Carlos Museum last fall. Here is the cover of the exhibit catalogue. Unfortunately there were no cat mummies on display.